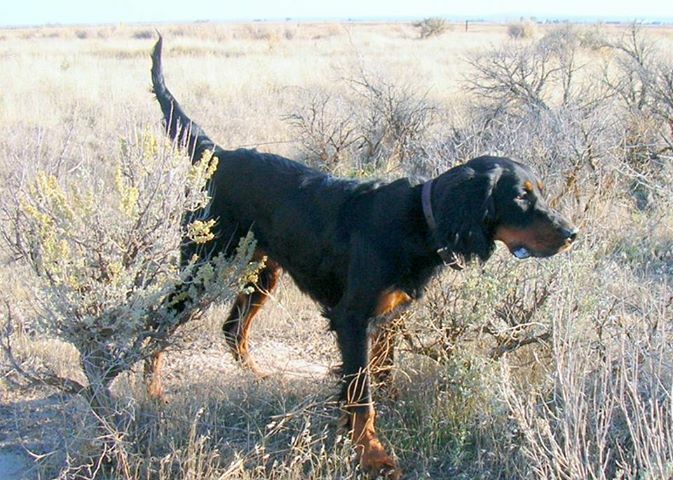 I found a 4 year old field bred female Gordon Setter that may be available next spring after she has another litter. I've been around several Gordon's in NSTRA trials but never hunted behind one. Always thought they were one of the most beautiful breeds. Anyone on this site have a Gordon or experience with them? I have had two of them. My first was a field Gordon, a fair amount of Springset blood. She was an awesome dog. One of the better pheasant dogs I have had. Medium range, good retrieve, sweet as could be. My 2nd was supposed to be a "duel", the show blood took out a lot of the bird skill and she was a bigger slower hunter. Good nose, but not to the standard of my other Gordon. Have never owned one, only hunted in the same field with one. The experience was not the greatest and I soon realized why my group of co-workers made this guy and his Gordon hunting by themselves. I think there are lines of Gordon's that have followed the Irish Setters where the show lineage has really taken over, if that is possible. I have always like the looks of the Gordon and I'm sure there are great Gordon's out there. My experience was not a good one, but that was only one hunting season where I might of hunted with this guy only a handful of times. When we hunted the flushers went one direction and the pointers went another. He and I would keep our distance as well. This Gordon had a great disposition just not a polished hunter, wouldn't back and often times bust the points of my Britt. Hunted a few times with an Irish Setter like that too, I believe they both are great breeds but I would not own one. The thing about going with a Gordon is not that you can't get great dogs, its that you have to do you homework to prevent getting something that is not up to your standards. In other words the % of great Gordon setters is lower than the % of great English setters, as a total of the dogs out there. You are correct. Like the Irish Setters and Gordons are beautiful dogs and people wanted them for pets and show dogs. A lot of the hunting instincts were eventually bred out of them. Fortunately there were enough breeders that stayed true to the hunting/field lines and preserved that breeding. Similar things happened with the Springers. The show and field dogs are almost two different breeds. Sounds like your buddy probably had a Gordon that was mainly out of some show dogs. I'm only looking at breeders that breed only for the field. Here's the gal I hope becomes available for me. She's a looker! Built nice and a better than average tail. Some of their tails tend to be ropey, level, and curved. Finding straight, higher tails would be a plus if I were looking.